Rather than jumping to any random class you come across for martial arts, you will have to research about it. While it is always best to be involved in some or the other healthy activity, one should always be conscious about it. Unless you are guided well, you will never be able to get the best out of it. Hence, one needs to be conscious about the kind of martial arts school, he or she is enrolling for. 1. What is that you seek? Moving is important but it is more important to move in the right direction. Why is that you want to be a part of the mixed martial arts? What do you want from it? You need to take out some time to know what your interests are. It is not necessary that a 40-year-old will have the same expectations as the 14-year-old. Once you are sure about what your needs are, you will be able to choose the right school for yourself. 2. Which style will you want in MMA? 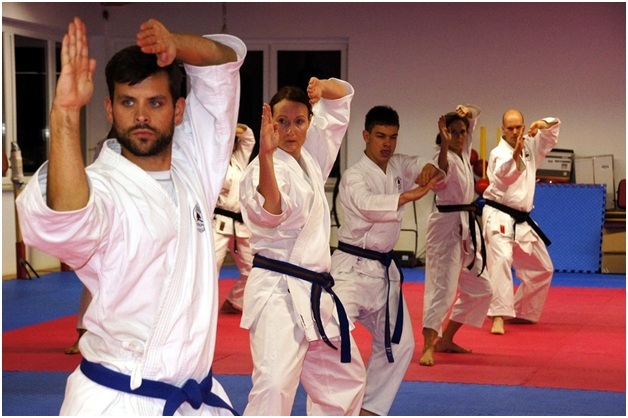 There are different styles of martial arts and you need to research about the different styles. It is not necessary that you might fit into something that you like. Your body might have the capacity of performing something else in a better manner. Hence, you need to first understand the variety and learn what does each one has to offer. Accordingly, you will be able to choose the right school. 3. Did you research about the trainers? It is essential that you learn about the different trainers that are associated with the martial arts class in Scarborough. Whether you want to get into it professionally or simply want to learn it, you will need the right trainer to guide you with the same. Hence, you will have to ask about the qualification and experience of the trainers. If you are planning to join any school or institute, you need to inquire specifically about the trainer who is appointed for you. 4. Are you allowed to attend sessions or get a trial? It is sometimes hard to decide which of the martial arts schools you should confirm. The best way is to attend the sessions. With this, you will get to know whether the students get personalized attention or not, how good is the trainer in instructing etc. If given an opportunity, you should always go for the free trial sessions. It will give you a glimpse of the class as well the martial art you are planning to join. In simpler words, you will get firsthand knowledge whether you should go for the class or not. 5. Do the school timings fit your schedule? There will be several batches in which the martial arts will be taught. It is important to figure out which one suits your schedule. Before you decide on any class, you should get the timings and work around your schedule. If any of the class stresses you out or disturbs your schedule, you should be looking out for some other option. you can contact through Yelp or Yellow Pages.